Presidential budgets are always aspirational political documents and almost never passed into law as written, but the one set to be introduced by Donald Trump Tuesday stretches credulity given the current makeup in Congress. The $4 trillion government-spending blueprint relies on rosy assumptions and far-reaching cuts in an effort to fulfill some of the Trump’s campaign pledges, including working toward balancing the budget in the next decade. It presupposes the repeal and replacement of Obamacare and slashes government programs that millions rely on, including cuts to Social Security Disability Insurance and the Supplemental Nutrition Assistance Program. 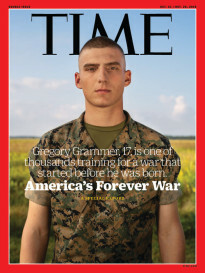 Titled “A New Foundation for American Greatness,” and given the subtitle “a Taxpayer First Budget” by budget chief Mick Mulvaney, the document proposes cutting non-defense discretionary spending and some entitlement spending by trillions of dollars over the coming years to pay for an increase in defense spending and infrastructure. The core assumptions of the budget proposal—which allow the Trump Administration to claim it will bring the budget to balance—rely on optimistic projections of constant 3% annual economic growth and more than $2 trillion in economic “feedback” benefits from implementing Trump’s policies. “We believe that we can get to 3% growth,” Mulvaney told reporters Monday, scoffing at the independent Congressional Budget Office which projects far slower growth over the long term. “The ugly truth is this: you can never balance the budget at 1.9% growth,” he added. According to Mulvaney, the budget also supposes that the GOP’s tax reform plans, which are a priority for this year, will be deficit neutral—an idea that runs counter to the analysis of those plans by independent watchdogs. Perhaps the wildest notion of them all is the notion that Trump’s budget will have major impact on the policy discussion in Washington. Key pieces of Trump’s—and the House of Representatives’—budget are non-starters in the Senate. The repeal of Obamacare is stalled as Senate Majority Leader Mitch McConnell’s working group struggles to find a consensus rewrite of what the House passed. And there is no appetite to cut federal programs that are cherished in lawmakers’ backyards, such as housing, schools or national parks. Among its controversial proposals, Trump’s budget would force states to begin to pickup part of the tab for SNAP, colloquially known as food stamps. It would slash funding for State Department foreign aid programs and environmental initiatives. It calls for authorizing the lease of oil and gas fields in the Arctic National Wildlife Refuge and cutting as much as $1 billion from disease prevention programs. The budget scales back the amount requested to build Trump’s border wall, which Senate Democrats have refused to fund, but includes substantial boosts to the Department of Homeland Security. It takes other measures the administration says would crack down on those in the U.S. illegally, including requiring a social security number to receive the child care tax credit and the earned income tax credit. Top Republicans in the Senate are quick to throw cold water on the discussion of either the White House or House budgets, noting that whatever makes it through the upper chamber is likely to be bipartisan and bland. It’s entirely possible, top Republican staffers say, that Congress simply keeps the current spending regime with minor tweaks here and there. If the choice is status quo or a government shutdown, many Senators will push for staying the course. 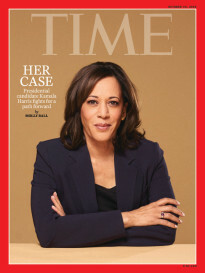 Meanwhile, time is simply not on Trump’s side. Congress is slated to skip town for five weeks in August—right before a Sept. 30 deadline to fund the government and boost the nation’s credit card limit. Failing to do either would slow the economy, and could diminish Republicans’ electoral hopes in 2018. Trump has floated the possibility of a “good shutdown” in the fall to try to win over lawmakers to his proposals, but how or why that would change their thinking remains unclear. The significant changes proposed would require hearings and debate—plus lobbyists’ and donors’ cooperation—and there’s little evidence the changes would find a comfortable glide path. Even Mulvaney acknowledged the challenge of getting the plan passed by the current Congress.